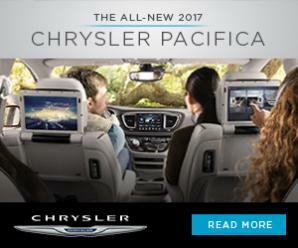 Chrysler's mission is to design and build vehicles that defy expectations, change perceptions and deliver a driving experience like no other. We asked our bloggers to write about travelling in cars with their family. Check out their stories and leave a comment for the chance to win a $100 gift card! The Vehicle For Life Sweepstakes on BlogHer runs from 7/07/2016 through 8/10/2016 and is only open to individuals who, at the time of entry deadline, are legal residents of the United States and are 18 years or older. Click “here” to read the official rules. Winners will be randomly selected from all eligible entries. Good luck!